2012 Doctor Tess Le Prevost, Guernsey born though now living in Exeter, is shocked to inherit her Great-Aunt’s house on the island. As a child she was entranced by Doris’s tales of their ancestor, Eugénie, whose house this once was, and who, according to family myth, was particularly close to Hugo. Was he the real father of her child? Tess is keen to find out and returning to the island presents her with the ideal opportunity. The Inheritance is a duel-timeline mystery and like the other novels in the series, set in the beautiful Island of Guernsey. Dr Tess Le Prevost decides to settle on the Island following inheriting a house in Hauteville near to that of Victor Hugo’s famed Guernsey residence. But, on her arrival she finds the house in disarray and a puzzle to be solved. What exactly was the relationship between her ancestor, Eugénie Sarchet and the famous scribe? Oh my goodness I sat down to read this over a few days only to pretty much devour it in one sitting. The characters, all of them, just jumped out from the page and into my lounge, dragging me kicking and screaming from any thoughts of the ironing or even what to make the kids for their tea! 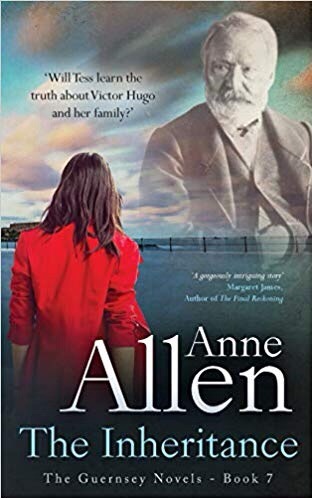 I was bowled over by the in-depth level of research that author, Anne Allen, carried out in forming this novel. It felt like she opened a door in my mind to allow me to travel across time and to the world of Victor Hugo in the 1860’s, right down to the clothes they wore, the food they ate and the words that they said. I loved the added contrast of the modern-day characters. Tess’s relationships with both of her estranged parents adds spice as does her growing affection for the local builder she engages to sympathetically renovate her property. The Inheritance is a beautiful book that will stay with me longer than many others in that genre – a favourite read of 2019. Ooh my Easter weekend read and what a goodie. I’ve been saving this, wanting to leave the best till last. This had me both laughing and crying in equal portions. I loved the central character of Poppy as she saves both herself and the day in this gorgeous life-reaffirming read. Here Swain helps the reader press pause on all the nasty bits in their life like housework and, well more housework and dip into the wonderful life around Nightingale Square. Procrastination is the word of the day. There’s nothing I like better than dreaming up ways to wriggle out of writing and yet I must be doing something right as I’m currently working on book number 12. Twelve books in as many years but, in truth, it did take me an age to finish the first one but I’ve honed my way of writing now. Boy Brainy, only twenty-thousand words but, oh my. I never thought I’d get it started let alone finished. I like to say it took six-months to write and six years to edit but that’s not true. It took six years to hold my courage in both hands and self-publish. Boy Brainy was written the good old-fashioned way with pencil and paper in my fifteen-minute coffee breaks at work. I can speed write about 200 words in those minutes so I was writing 1000 words a week, typing up late into the night when my kids were asleep (3 kids under 4 in those days). To this day I still always carry around a pencil and notebook but I rarely use it for more than note-taking. I’m working on the second in a crime thriller series set in Wales, the first is finished and in the pre-publication stage. These days I like to write ten-thousand + words a week and again, my lifestyle is such that I have to cram my words in and around my day job and three teens. How I write has changed too. Whilst I don’t favour one medium over the other I use both typing and voice recognition to rack-up that word count. Bear in mind I’m not a techie so if I can do this anyone can. After years of trying other programmes I still write in Word but both on my laptop and phone and, instead of buying voice recognition software, I manage just fine with the built-in programmes on my devices. I don’t use it all the time but it’s easier than typing on my mobile. But, what I’ve also done is set up OneDrive, an online Word storage programme and synced it with both my phone and my Laptop. So, now with auto-save a permanent feature of both devices I can work on the move on my phone, all the changes automatically saved to my Word document. I can’t tell you how much time this has saved and, those words keep just building-up. I know there are other ways out there but, for someone like me who doesn’t know a RAM from a terabyte, it works. But with obsessive ex-boyfriends, demanding clients at work, wrongly imprisoned brothers and, of course, the fact that they still haven’t met yet, they’re about to discover that if you want the perfect home you need to throw the rulebook out the window..
I’ve just placed my Kindle down after finishing this amazing book and my first thought is jealousy. I’m not jealous of the writer, well, I am a bit. What writer doesn’t regret not dreaming up iconic books like this! No. I’m jealous of you, the reader. The reader who’s yet to read this delight. I do re-read books again on occasion but it won’t be the same as the first-time round. In the blurb this has been stylised as a Richard Curtis rom-com, a director I admire hugely (Notting Hill is one of my favourite movies, more later on that below). But, whilst I can see the parallels I think The Flatshare roots stretch much further back to the halcyon days of cinematography and Billy Wilder. Who can forget those classics like Some Like It Hot and The Seven-Year Itch and, of course not forgetting The Apartment: all comedies but ones that deal with particularly challenging issues just as The Flatshare does. So, dear reader don’t expect pink fluffy bunnies when you read the blurb. This isn’t a light read although the idea of two people sharing a flat and never communicating or even meeting, except through the medium of Post-It notes is quite frankly ridiculous. It’s the stuff of dreams although, I believe, inspired by a true situation that the author experienced. Tiffy, God, I loved Tiffy. She’s kooky (think of, the greatly missed, Emma Chambers portrayal of Honey in Notting Hill but red-haired and taller and you’ll be able to conjure her up). Like Honey she’s unlucky in love and has made some bad choices in the past, choices that find her pretty much homeless and unable to afford anywhere to live in London except sharing a flat with, palliative-care night-nurse, Leon. Leon has his own financial worries, all his money going on lawyers fees in order to secure the release of his wrongly imprisoned brother. The scene is set. 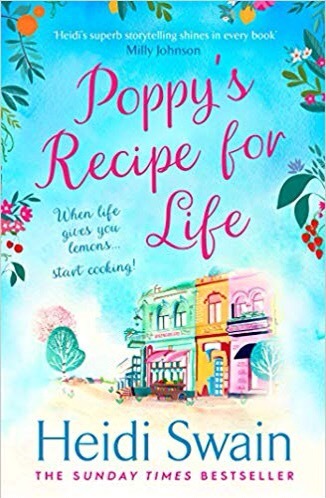 The characters are strong, the writing stronger and the plot….well, I’m not giving away any spoilers but, if this little slice of literary delight doesn’t pretty much clean up the 2019 rom-com/up-lift market I’m in the wrong job! A million yellow, shiny, pointy thingamajigs. 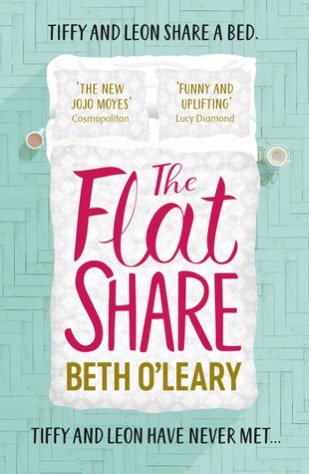 Thank you to Beth O’Leary for putting a good word in with Hannah Robinson for the ARC. 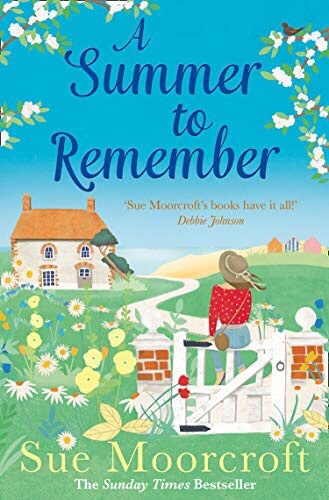 A Summer to Remember, Sue Moorcroft. Life is never quite the same when cousin, Alice does the dirty on groom, Lee on the day of their wedding. But, as so often happens, history repeats itself when Clancy’s fiancé is caught with his trousers around his ankles. The only place she can go to lick her wounds is back to Nelson’s Bar and the holiday cottages half-owned by her cousin. If you’re expecting a gentle romance that wanders along to the inevitable HEA or HFN then think again. This book is a rollercoaster that takes the reader through more emotional loops than Blackpool Towers. I just loved the character of Clancy who roared off the page and wasn’t prepared to sit back and take the poo that everyone seemed to be flinging in her direction. Nelson, the adorable dog, needs a special mention as does Daisy. However what struck me most was the clever way the writer addressed the plot issues of what is a very complex read. Here the good guys come out on top, the bad guys lose and the in-between ones, you know the sort – the ones that unwittingly harmed the mc through no fault of their own. Well, wait and see. This is up there with my best reads of 2019 and I predict will be in my top ten. Living in neighbouring apartments above the bookshop, Grace and Audrey form an unlikely friendship. They came to Paris to find themselves, but finding each other might be the best thing that’s ever happened to them. There are so many things I could say about this book. The superb opening that had me glued to the page from the very start. The amazing Paris location. The main characters of Grace and Audrey, one young and strong, the other middle-aged and damaged – both fighting a darkness… But the only thing you really need to know is that this is Morgan’s best novel to date. Morgan is in my top 5 of romantic writers. There’s just something about her books that strikes a cord, maybe because we’re both nurses, I don’t know but I’ve read pretty much everything she’s written. But recently there’s been a shift in her writing since How to Keep a Secret. it’s different, stronger, more traumatic. Yes, there’s the guaranteed HEA but the route to that end has so many twists and loops to give any Satnav a power surge. 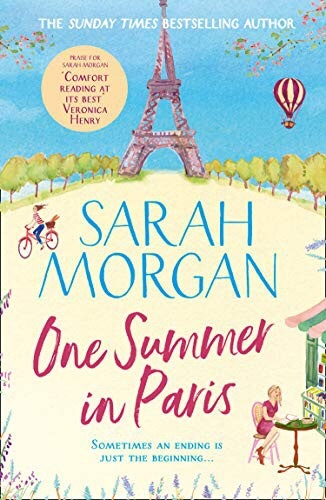 One Summer in Paris follows the intricate and complex lives of two strangers, destined to meet on a Parisian boulevard. Two strangers who, in the normal way wouldn’t give the other a look. But something binds them together, a past history that weaves in and out of the storyline. Morgan plays on Grace and Audrey’s differences (age, looks, social circumstances) and yet manages to untangle the thread that makes them almost mother and daughter. All this set in one of my favourite places in the world and with the backdrop of a dusty treasure-trove of a bookstore. NB, I wrote this review last week, before I’d seen the cover. OMG, I just love it – the raw beauty of that blue and then the red – it just pops out at you. Even though I’ve read I’ve just gone ahead and pre ordered anyway just because of it. I’ve long been a fan of Valerie Keogh, my go to writer for nail-biting reads. Okay, so her Hudson/Connelly does make me feel a little uncomfortable but there’s something fundamentally wrong about a psychopathic murdering nurse don’t you think? Her Garda West series, more formulaic but with stunning locations and unusual plots is pure genius. But enough about that. 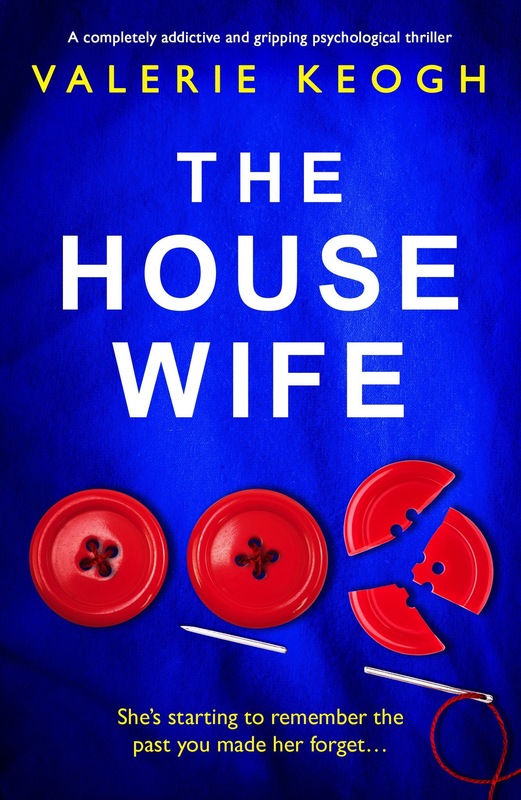 The Housewife is the second of Keogh’s thrillers under the auspices of Bookouture. Secrets Between Us, my favourite thriller of 2018, her first. But this one is very different. I don’t know if any of you are fans of Irish literature but there’s shades of that famous of all famous Irish playwrights, Seán O’Casey’s Kitchen-sink masterpiece, ‘Juno and the Paycock’, to be found amongst the pages of The Housewife. Keogh has taken a situation, a day in the life of a housewife and turned it inside-out and upside-down. After all there’s little to find that’s exciting in the day-to-day chores of washing, ironing, shopping and cleaning for a husband and small child – rewarding perhaps but exciting? No. But there’s something lurking, some element just out of the corner of the reader’s eye that is uncomfortable. Amongst the cooking and cleaning the husband is a little too controlling. The drive for Diane to be that impossible of all things – perfect – unsettling. And when she decides to try and get back into the workplace after a period of ill-health? Tragic. There are no heroes between the pages of Keogh’s novel. There are no millionaires, yachts, blonde bombshells or other unrealistic characters. Here Keogh has made the ordinary extraordinary. The monotonous, riveting. Housework will never seem the same again and housewives? They each have a story to tell. When a promising local artist disappears, the victim’s brother begs Detective Tara Thorpe to take the case. It seems there’s no evidence of foul play… he simply disappeared without a trace. Tara agrees to do some digging… never mind that her unorthodox approach to policing has got a few of her colleagues’ backs up. Amongst them is her former supervisor Detective Patrick Wilkins… he’s had enough of Tara calling the shots and will do anything to knock her down. She must be careful. At least she has an ally in their boss, Detective Garstin Blake. He’ll always back her hunches. If anything, they work together too well… at least, that’s the rumour around the station these days. 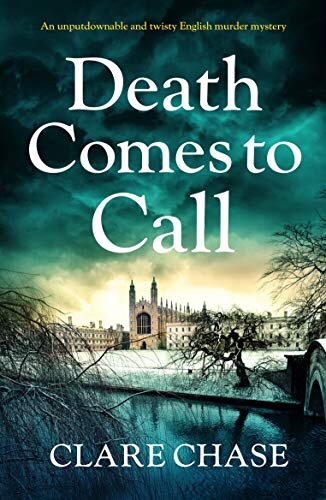 When a body of a young woman is found frozen near the fens, Tara’s evidence suddenly becomes key to solving a high-profile murder. Is their missing artist still a victim… or in fact a clever murderer with a deadly plan? This is my fifth read by Clare Chase so you can probably guess I’m a huge fan of her writing. Tara Thorp and her boss, Blake get tangled up in a case of missing artist, Luke. But it’s not his body that turns up but that of art gallery hostess, Freya Cross. This is a riveting, ‘bum stuck in chair’ read where the complex characters add an extra layer of excitement to what is already a white-knuckle read. Chase drags you into her world, kicking and screaming, playing with you emotions until conclusions have been drawn and all loose ends tied off in a pretty bow. I like the added element of Blake’s relationship with Tara. It added an extra dimension to an already well-thought-out plot. Here we don’t just get a crime thriller. We also get a flutter of romance and more office politics than you can shake a stick at. 10 stars. I haven’t been here for a while but, after a Christmas where health featured quite heavily, I decided to have a life rethink and one of those thoughts was that I wasn’t achieving what I wanted from my existence. Writing is all very well but it’s just one small facet. I’ve always wanted to be a vegetarian and even managed to convince the family a few years ago but, after about a year we all fell off the wagon. But I’m not getting any younger and, now that the kids are older I decided to jump the meat ship just before Christmas. This isn’t just for January. This is me for life. There was no planning and that first week I was finding it increasingly difficult to find anything in the cupboard that I wanted to eat. I’m also low carb, low salt and low sugar, which makes for an interesting diet but it’s my decision and I’m not moaning, just trying to work around it. I’m not a brilliant cook but, more importantly, I don’t have either the time or the inclination to spend long periods in the kitchen when I could be writing. 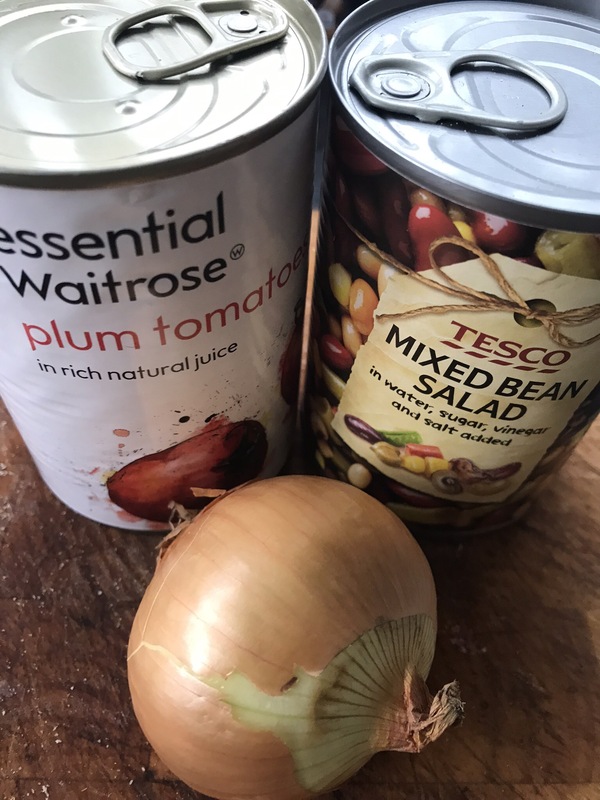 The following recipe is a store cupboard accident and the purists will frown at the use of tinned but these ingredients can be easily substituted for dried beans and fresh tomatoes and I would have if I’d had any in the cupboard. This is cheap, quick, easy, low calorie and vegan as well as vegetarian but, I’m going to add either some feta cheese or a soft poached egg to the top of mine before serving to make up for the lack of crusty bread 😉. And while it’s cooking I’m going to continue editing my next masterpiece, a crime thriller set in Wales. Calorie wise it’s 240 calories for a large bowl but that’s a lot of soup! It meets all of the 5 a day in one bowl and is low in salt and only 10% the RDA of sugar. Purée onion and garlic, soften in 1 teaspoon olive oil. Add beans and tomatoes. Bring to boil and simmer for ten minutes. Pop in blender, add water to make it the correct consistency for you before serving. 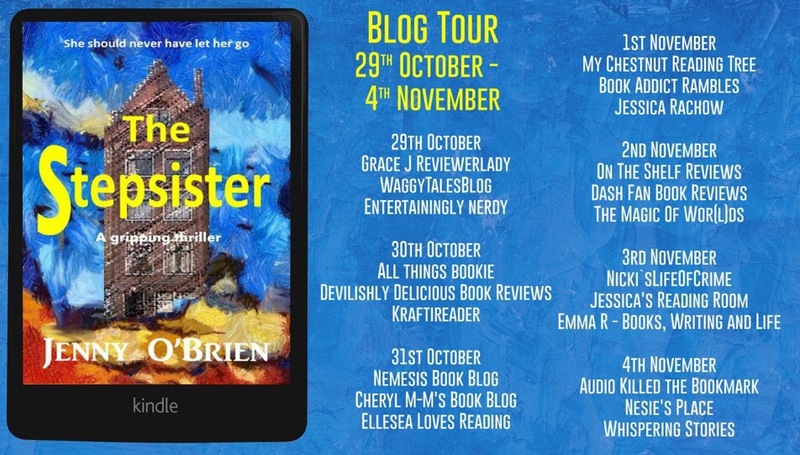 It’s been a week since the publication of The Stepsister, my first thriller but not my last. It’s also been another first – the first time I’ve signed up for a blog tour. As an Indy I tend to go for a softer book launch. If my book sells so be it. And if it doesn’t? The fault lies squarely on my shoulders. This year, for some reason I decided to act like a proper author for once. After all, it’s book number ten so it’s not as if I plan to disappear into the woodwork anytime soon. I have book number eleven all but written, a crime thriller set in South Wales. I’m currently going through the pain of structural edits at the moment. And as for book number twelve, woman’s fiction set in and around Ireland’s west coast? I’ve written 25% and keen to get back to it but not until eleven is off my hands. So, back to the book launch. I only decided at the end of August to publish The Stepsister. We’d just arrived back from a wonderful few days in Paris to celebrate GCSE results and I made the snap decision to go for it. The book had been lying around for 6 months and it was time. I contacted Rachel Gilbey, someone I’d seen post on Book Connectors and someone who I thought I could work with. Within a day she’d guided me through my options and I’d signed up for a week’s blog tour in addition to a cover reveal, when I didn’t even have a cover or a fully edited manuscript – early September was when the fun started. I taught myself book cover design early on and this was the first project. As the book has an underlying arty theme I wanted the cover to resemble a painting. It took 6 hours and a final panic over whether the word Stepsister should be hyphenated before I sent it to Rachel. Within days she’d managed to conjure up 40 bloggers to share the cover and kick start my pre-orders. September and October were spent doing final edits and working with the amazing Natasha Orme in order to produce the final version which, true to form, I uploaded to Amazon only hours before their deadline. Last Monday, book launch day was busy and I was thrilled with the amount of sales. I hit 3,000 + in the U.K. sales ranking which, for no publicity other than the tour is pretty good, certainly an improvement on other launches. In truth, I hadn’t had to do much other than prepare the book and cover. Rachel managed to find 21 bloggers who did a mixture of content from actual book reviews to guest posts and extracts from the book. There’s been a lot of talk about the value of book bloggers and whether they make a difference. But the bottom line has to be do they lead to more book sales? The Stepsister has had no money thrown at it. I haven’t signed up to BookBub or any other advertising network. I haven’t taken out any paid Facebook or Twitter ads. The only publicity has been to my followers on Twitter, Facebook and Instagram. So, the only differences between this and previous launches is genre and the blog tour. And my sales? They’ve quadrupled. Thank you to Rachel and the fifty plus bloggers who’ve helped me over recent weeks. Now it’s time to build on the momentum they’ve started. And the million dollar question… Will I sign up for another blog tour? Definitely. 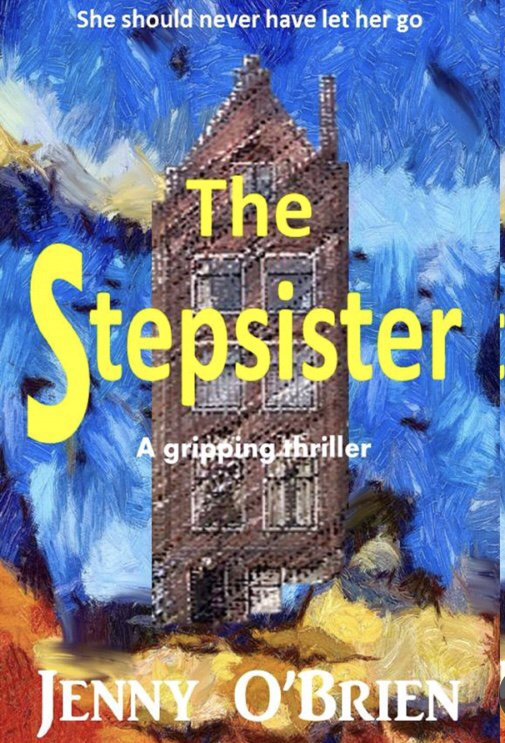 The Stepsister, a psychological thriller set between Guernsey and Holland is available from Amazon for 99p here.